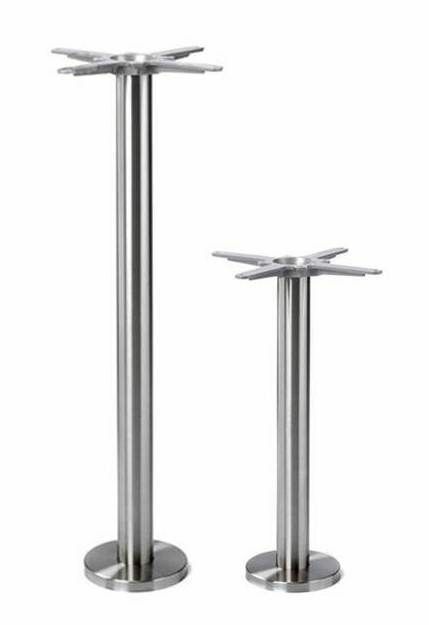 Floor fixed table bases in a stunning stainless steel finish. Available in a choice of two heights. Available from stock for a fast and free delivery within two or three working days from order. Floor fixed café table bases manufactured in stainless steel in dining and poseur table height options available for immediate despatch.